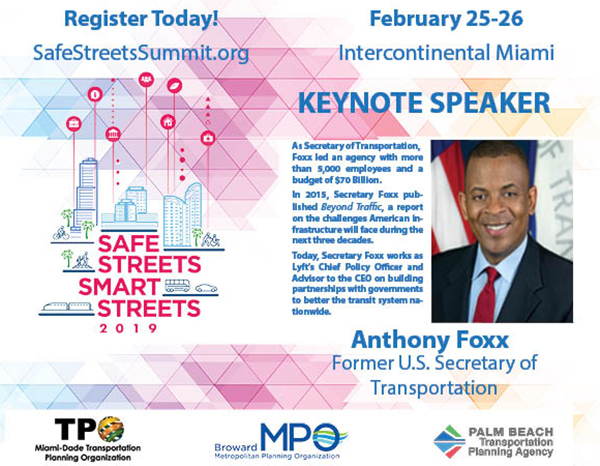 Click image for information, local events and resources. 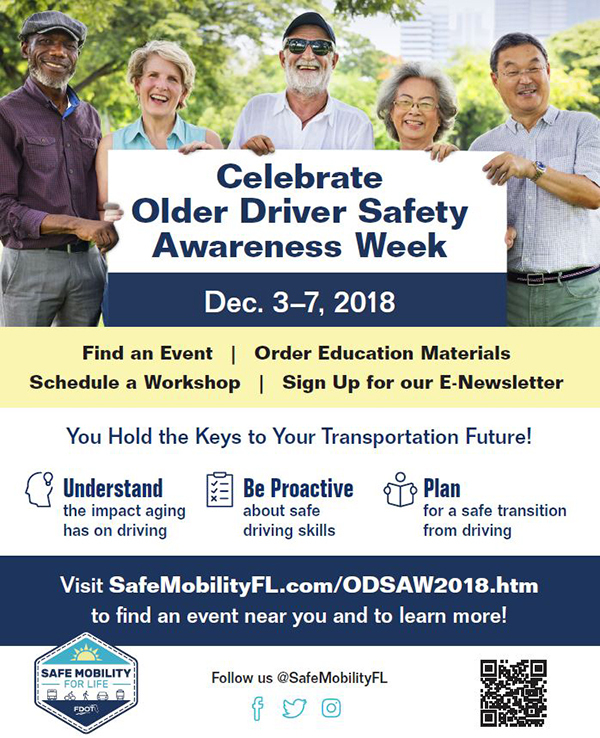 Click here for program details and click here for a PDF flyer. Walk Friendly Communities (WFC) is a national recognition program developed to encourage cities and towns across the United States to develop and support walking environments with an emphasis on safety, mobility, access, and comfort. Sponsored by Fed Ex and managed by the University of North Carolina Highway Safety Research Center since 2010, the program distinguishes communities leading the way in walkability and seeks to share their stories to inspire other communities. Cities and towns interested in joining the ranks of Walk Friendly Communities are encouraged to submit an application by Dec. 15. Visit WalkFriendly to learn more. Are you part of a local government, a homeowners or neighborhood association, a business or civic organization or another group? 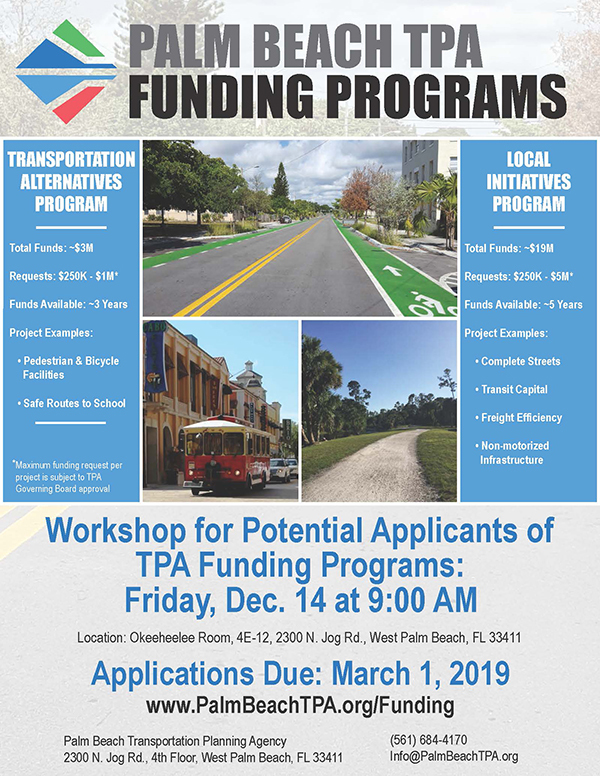 Simply sharing this TPA website link in a newsletter or email can give many more Palm Beach County residents an easy opportunity to share their transportation priorities with officials and decision-makers. 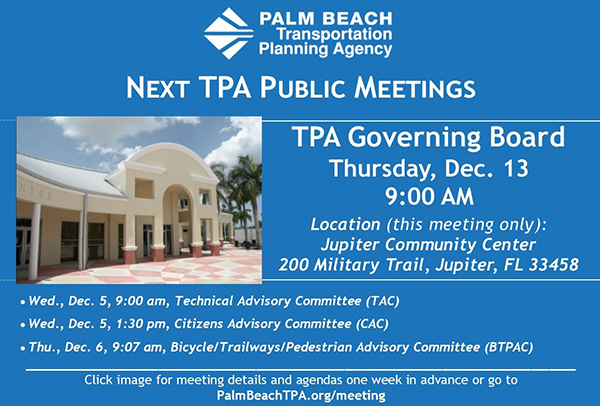 Just ask your audience to go to PalmBeachTPA.org/participate for links to the brief survey in either English or Spanish. Please be sure to take the survey yourself and share with family, friends or co-workers! 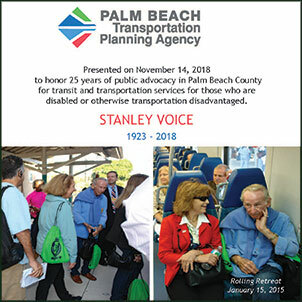 At the Transportation Disadvantaged Local Coordinating Board (LCB) meeting held on Nov. 14, the TPA presented a plaque to the family of Stanley Voice, a tireless advocate for Palm Beach County's transit and paratransit services for 25 years. Mr. Voice passed away on Nov. 4 at age 95, but his lasting impact will remain. Plaque presented to the family of Stanley Voice includes images from the 2015 Rolling Retreat. 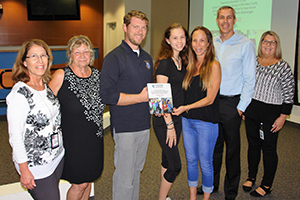 L-R: RoseAnn Voils (Palm Tran); Angela Morlok (LCB member); Boynton Beach Mayor and LCB Chair Steven Grant; Stanley Voice's granddaughter and daughter Kelly Voice; TPA Executive Director Nick Uhren; and TPA Public Relations Manager Malissa Booth. 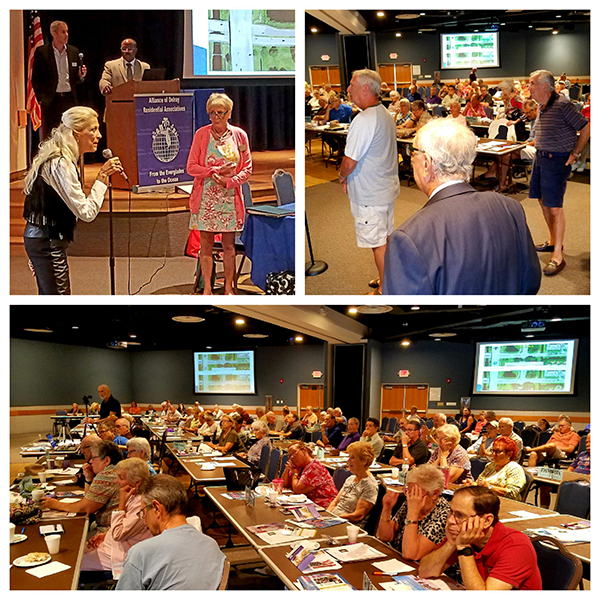 On Nov. 7, TPA Executive Director Nick Uhren and Palm Beach County Engineer David Ricks presented transportation updates on projects including Atlantic Ave. and the expansion of Florida's Turnpike to the Alliance of Delray Residential Associations. 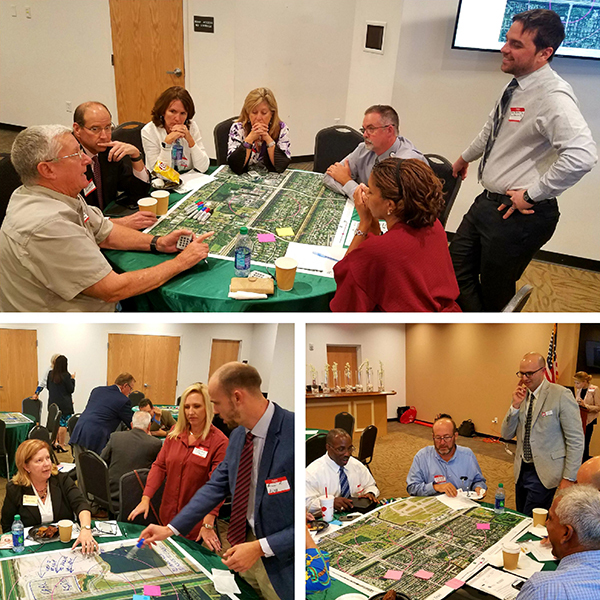 On Nov. 8, the TPA supported a workshop presented by the Central Palm Beach County Chamber of Commerce for business leaders and stakeholders along the SR-80 corridor. 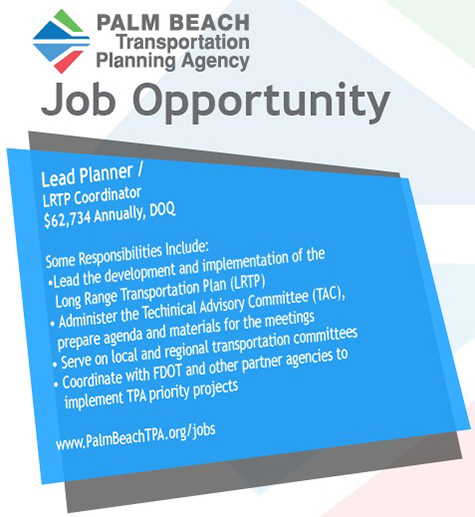 Go to PalmBeachTPA.org/jobs for complete job descriptions and instructions to apply.